Home Events & HolidaysBEAUTIFUL PUMPKIN HALLOWEEN DECORATION INSPIRATIONS…. 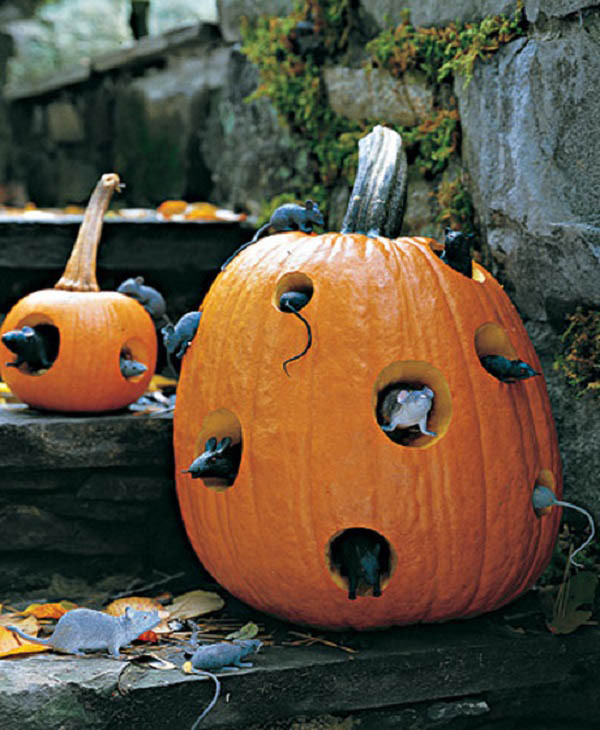 Halloween is around the corner, and if you’re like many people, you’ll be making a Halloween pumpkin decorating ideas. Halloween pumpkins are usually carved, so they can be used as lanterns. Pumpkins are part of an ancient tradition that originated with the Celts. Painted Halloween pumpkins are not as common as the carved variety, but they are becoming very popular. Painting your pumpkin gives you more flexibility than carving it, and you can create stunning painted Halloween designs that are guaranteed to get a reaction. YOU can put it on the stairs ,use it as a centerpiece ,in the outdoors etc.HAVE a look at these amazing pumpkin decoration ideas for this halloween. Next Article35 HALLOWEEN COSTUME IDEAS FOR KIDS…….